Idurre Alonso is Associate Curator of Latin American collections at the Getty Research Institute. 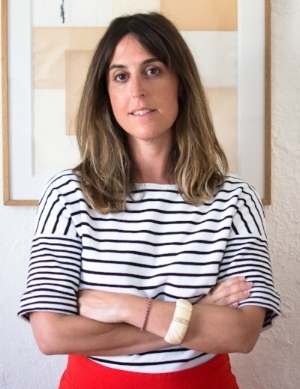 Previously, she was Curator at the Museum of Latin American Art (molaa) (2003-2014), where she organized numerous exhibitions including LA Presencia. Latin American Art in US Collections (2007); Changing the Focus. Latin American Photography 1990-2005 (2011); Unresolved Circumstances. Video Art from Latin America (co-curated with Cecilia Fajardo-Hill) (2011); and Regina Galindo. Vulnerable (2012). In 2015 she was awarded together with Selene Preciado The Emerging Curator Award from Los Angeles Contemporary Exhibitions, which culminated in the exhibition Customizing Language (2016) and a publication with the same title. Alonso has worked on two exhibitions part of Pacific Standard Time: Los Angeles/Latin America initiative: The Metropolis in Latin America (1830-1930) co-curated with Maristella Casciato for the Getty Research Institute, and Photography in Argentina, 1850-2010: Contradiction and Continuity co-curated with Judith Keller for the Getty Museum. Bothe opened in September 2017. Idurre’s research interests include experimental practices in photography from Latin America, the intersections between art and experimental poetry, the iconography and development of national narratives since nineteenth century, and issues of power hierarchies in emerging art from Latin America. She obtained her BA and MA in Art History from Universidad del País Vasco, Spain. Her Ph.D. dissertation (in progress) focuses on conceptual photographic practices in Latin America. We spoke on October 3, 2017 in Idurre's office at the Getty Research Institute. Paula: I'm curious to know about your process. Can you tell me about the beginnings of this exhibition Photography in Argentina 1850-2010: Contradiction and Continuity? Idurre: When Pacific Standard Time was announced I was still working at the Museum of Latin American Art. I was a curator there. One day I got a phone call from Judy Keller, who was the head of the department of photographs here at the Getty. She asked if I was thinking of proposing for PST for MOLAA an exhibition on photography, which I wasn't. She told me "Well, I'm thinking on an exhibition about constructed photography in Latin America." And so we started to have a conversation about it, and she invited me to a couple of meetings. Later on she invited me to work on this project and that's how I ended up working at the Department of Photographs. I was hired to work on the PST project. Paula: It was a temp job? Idurre: Yes, for the following three years until the exhibition opened. So we started traveling to look at the production of different countries. We first went to Mexico; and then we went to Brazil, to Sao Paulo; and then we went to Buenos Aires. That's when Judy realized that doing something about Latin America was going to be too broad, and she decided to focus just on Argentina. Paula: When you're traveling do you go to the principal museums in the country and start poking around? How do you approach your visit? Idurre: Here in Los Angeles, we starting doing some research about which museums have interesting photography collections. You contact them and ask them to send you a list of work. You have to prepare and decide which are the works you want to see when you make an appointment in a museum,. Then you go look at the galleries that work with photography, the collectors that collect photography, and in some cases also artists, and you visit them in their studio. We decided to have an advisory committee that had people from different regions from Latin America, trying to cover as much as we could of the continent. We selected someone from Mexico, from Brazil, from Argentina, etc., and they were giving us advice on where to look for photographs. Then we had a meeting here at the Getty with all of them. That was a two-day meeting in which we discussed what we had seen, what could be the themes, and they gave us advice on artists we didn't have in the list. It wasn't an easy process, because we had started with this idea of constructed photography from all of Latin America, and when we arrived to this meeting we had put together a presentation with ideas on the different themes. The response we got from the committee was "This is not specific about Argentina. These themes are too broad. You could apply these to photography production in any country. If you're going to focus on Argentina, you need to talk about what is special about the photographic production of Argentina." That was great to hear, because that made us rethink the whole idea of the show and that's how we got to this. Paula: How did you define constructed photography for this purpose? Idurre: The regular definition of constructed photography is putting together something staged for the camera. It could be that you use props, or that you are acting in front of the camera, creating a theatrical scene. It’s basically the opposite of documentary photography. But as we were going through this process and we were looking at this idea of building national identity through photographic images, we realized that documentary photography had a lot to do with that. So we looked at how documentary photography is also constructed and could be used to construct certain ideas. We pushed a little bit the idea of what constructed photography is. The essay that I wrote for the catalog is about that, about how documentary photographs are also constructed. Paula: Where did the title come from? Idurre: Contradiction and Continuity out of the fact that there are a lot of contradictions in the building of this idea of what Argentina is, but there is also a continuity, and that is why the exhibition juxtaposes works from different time periods. You can see the continuities and the contradictions in those images about the same topics. Paula: And what are the themes? Idurre: The first one is Civilization and Barbarism, which is kind of the juxtaposition between the city and the rural interior. National Myths, with the gaucho as the institutionalized myth of Argentina, the indigenous people as the forgotten myth of Argentina, and Buenos Aires and Evita as the modern myths. There is a section about the gesture, including the political gesture and the aesthetic gesture; and then the last section is called Fissures, which is about deconstructing all the ideas from the earliest period, which is something that several contemporaries are doing. Paula: What did you learn about Argentina through this process? Idurre: So much. The complex history of Argentina in terms of politics, with Peronism and how it evolves, and it goes back and forward, and it changes, and it comes back. It's something very difficult to understand. Of course, I was aware of the dictatorship period. This division between the capital and the provinces is something that I wasn't that aware of and the presence of indigenous peoples in photographic images. It was a little bit surprising to see that even in the 19th century photography. And understanding that Argentina was the fifth economy of the world in the 20th century. Those were facts that I wasn't aware of. And to see how different it is in Argentina from the rest of Latin America, in terms of the post-colonial history. Paula: You have a lot of contemporary work in this show from artists from Argentina, whose work has not made its way to the United States. Idurre: The reason why people don't know about these artists is because there is not a market. I mean, Rolf Art is the only gallery in Argentina working with photography and they're fairly recent. Many of these photographers don't even have a gallery. We had to make the effort through people who we knew would tell us "You need to visit this artist or this other artist," and we went to the studio of the artist.That is the reason why you don't see their work outside of Argentina. That's not something particular about Argentina, I think, it's about Latin America in general. Maybe Mexico or Brazil, they have bigger markets and you see some photography in the international scene, but most of the countries don't really have a market, so you don't see the work. They're not collected by museums outside of their countries. Paula: How did people learn about contemporary Europeans or Americans? Idurre: It's more accessible. You have books, you have galleries, you have fairs in which their work is being shown. It's much more accessible than photography from Latin America. I was invited once to participate in a panel discussion, and I was asked to talk about Latin American photography collections in institutions in the US. I did my research and I started looking at all the big museums to look at what they had, and it was very sad, because you would see the same names over, and over, and over, and over again. So it was Graciela Iturbide, Sebastião Salgado, and two more. SFMoMA has an interesting collection of photography from Mexico. MoMA New York also had some interesting things, and the museum in Houston, because of [curator] Anne Tucker; who had an interest in Latin American Photography. Now, I realized that some of those works were coming from exhibitions that they had done. For example, the museum in Houston has an interesting collection of photography from Argentina from the 1990's and that's because Anne Tucker had curated an exhibition on photography from Argentina. What it tells me is that there is not a plan. They purchase works when there is an exhibition, but there is not a long-term vision of really generating an interesting collection of Latin American photography. It's just astonishing that modern photography from Argentina is so overlooked, and you have amazing photographers. Paula: Why is that a problem? Why should we care if our museums have these collections? Idurre: I think that as we move forward and our population changes, especially in Los Angeles where basically 50% of the population is Latino, I hope that our collections resemble our population. And the geographical closeness, even the cultural closeness to a country like Mexico, for example, in a place like California, which was part of Mexico for a very long time. So, it makes sense that we look at Latin America. We're part of the same continent. It also happens with art from Latin America in general, but it is more pronounced when we talk about photography. If the institutions don't really support curators that want to work with that kind of art, nothing is going to change. Pacific Standard Time is a great initiative, we have more than 70 exhibitions of Latin American art, but I wonder what is going to happen after that. Are these museums going to push for a change in their programming and their collections? I don't know. We don't have an institution in Los Angeles that collects Latin American photography. LACMA doesn't focus on photography from Latin America. The Getty Museum doesn't either. I think it's important that the people who are part of the boards in the museums put some pressure on, saying "We want a change." When I think about, for example, the vision of the Cisneros Collection in New York, they are the ones that pay for the Latin American curator position at MOMA. Estrellita Brodsky also did the same at the Met. They are part of their board and they are pushing for acquisitions and exhibitions of Latin American art. That has changed certain aspects of what was going on before. We don't have that in Los Angeles. We don't have key collectors being part of boards and really pushing for Latin American art. I am hoping that with PST some big collectors will start collecting Latin American art and pushing for it. That's the only way that we are going to change the scene in Los Angeles. Paula: That puts a lot of power in the hands of collectors. Is that OK? Idurre: I don't think it's ethical to have a collector deciding on which exhibitions are going to be organized in a museum, or deciding on the person that needs to be the curator of Latin American Art, or deciding on the specific works that should be purchased. I think that they can have a voice as part of an acquisition, but they should let the experts make the final decision. Paula: I always feel like the arts are a window to a place and a culture, and if we look at the art of a place, it tells us about the people and their politics, and their lives. It can only serve to make connections, to break down misunderstandings, and stereotypes, all of those things. So I think it's very important that we see these things. Paula: What attracted you to photography in the first place? Idurre: My attraction to photography came from the fact that I wasn't able to find information. When I was at MOLAA, I decided to put together an exhibition on photography from Latin America. I tried to find a curator in the US that would work with me on the project, and I couldn't find anyone. That's when I realized that there was a big hole. We know in working with Latin American art that is a constant issue. There aren’t enough books; you have to find information in little catalogs here and there. With photography, it's even more so. That made me want to really get into it and be the one working in that field. So I decided to write my masters dissertation on photography from Latin America in the 1990's and Changing the Focus exhibition at MOLAA came from that. Paula: Is there something in particular about photography from Latin American that sets it apart from other places, do you think? Idurre: Every little place has its own specificities, even within Latin America. You could say that the production in Chiapas is different from the production in Mexico City, but there's always something that ties together the work being done by artists from the same generation or the same time. It’s almost a universal language that sometimes ties to specific things about their own region. Paula: We came to see that show at MOLAA, and really it opened our eyes. So it's interesting to hear you say it really was as groundbreaking as it felt to us at the time. Idurre: I was amazed by the response we got from that exhibition. I never had thought it would be so popular. It was the first exhibition of photography at MOLAA, because the founder did not like photography. We were never allowed to collect photography for a very long time until he changed his mind. Paula: So what's your favorite part of your job? Do you like the research? Do you like thinking about these themes? Do you like writing? Do you like seeing it finished, and talking about it, and doing tours? I mean you have a lot of different hats to wear. Idurre: I enjoy every aspect of it. I really enjoy looking at works and talking to other colleagues and learning, and talking to the artists. I really enjoy researching, I like writing about it. I like every aspect of it. When I get to the part when it’s mounted, I'm usually very tired, because it's been a long process. I'm like "Ahhh, finally." Paula: Can you take moment and look at it and appreciate, and say "Wow! This really came together, and it's beautiful."? Idurre: Yeah, yeah, that happens.